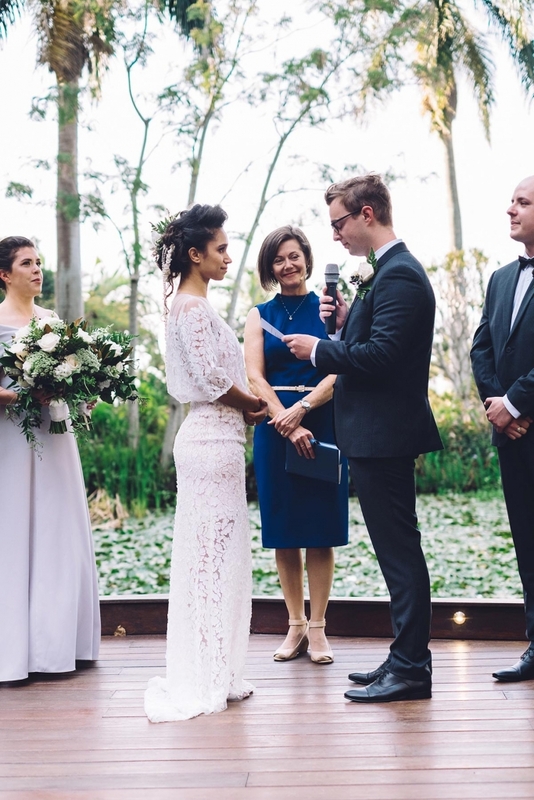 Whether you are planning a wedding, commitment, renewal of vows or baby naming, the most memorable and rewarding ceremony will be one that is tailored just for you. Your personalised ceremony should look, sound and feel just as you want it to, and importantly, it should reflect you as a couple or family. It would be my pleasure to create and deliver a beautiful ceremony for you, with each aspect – from the overall style to the specific wording, readings, music, and cultural or symbolic rituals – designed in close consultation with you. Whether you already have some specific ideas, or simply a general sense of the style of ceremony you’d prefer, I am here to help. Click here to read what others have to say, or contact me to arrange an obligation-free first meeting.